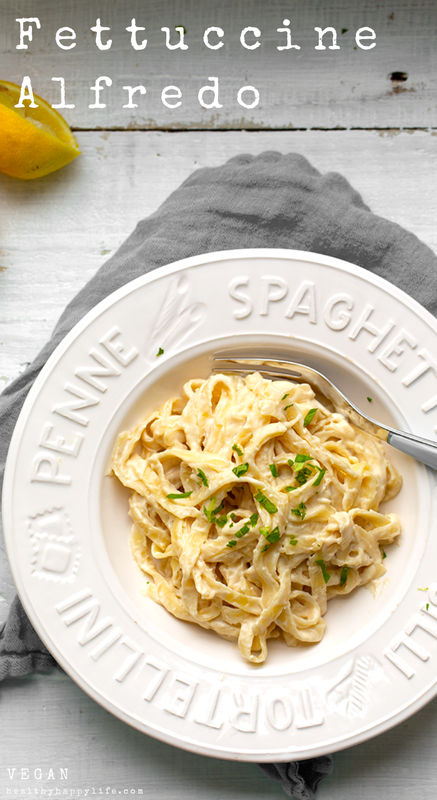 It's all about this sauce..
And yes, you can use any variety of pasta if you do not have fettuccine. 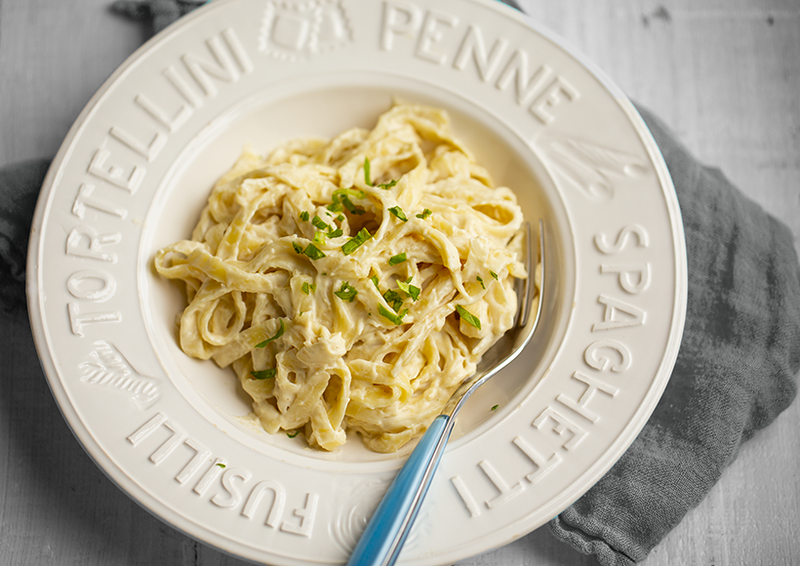 A sprinkling of chopped herbs (or anything green to brighten the plate) and serve!.. Pair this entree with some roasted veggies, a side salad or your favorite vegan protein and you have a meal worth craving. - Fast! Easy to whip this up in about thirty minutes. - Plant-Based. Made using simple plant-based ingredients. - Lovable. Cravable. Comfort food. - Easy to liven up with veggies! Fold in peas, garlicky kale, broccoli or chopped asparagus. Here is one example of mine. - This sauce is epically velvety and airy. Must have: high speed blender or food processor to really whip those cashews and fluff the sauce. Raw cashews give creaminess! And big bonus.. you do not need to soak them prior to starting this recipe. Roux. I used a roux to thicken the sauce to a velvety state. A roux may sound like a fancy technique, but it took me about two minutes to melt the vegan butter and whisk in the flour. Then I simply added the cashew blend, whisked again and done. 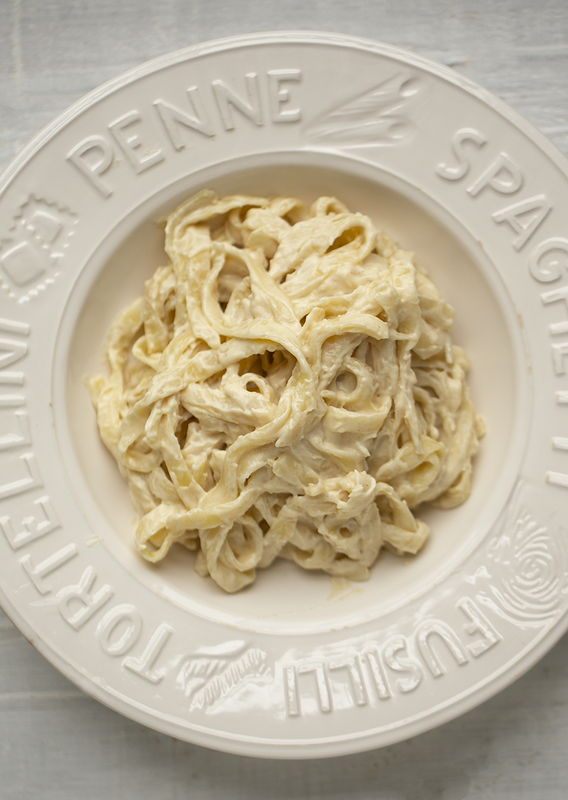 Rich and velvety vegan Alfredo sauce is the perfect pairing with tender fettuccine pasta. 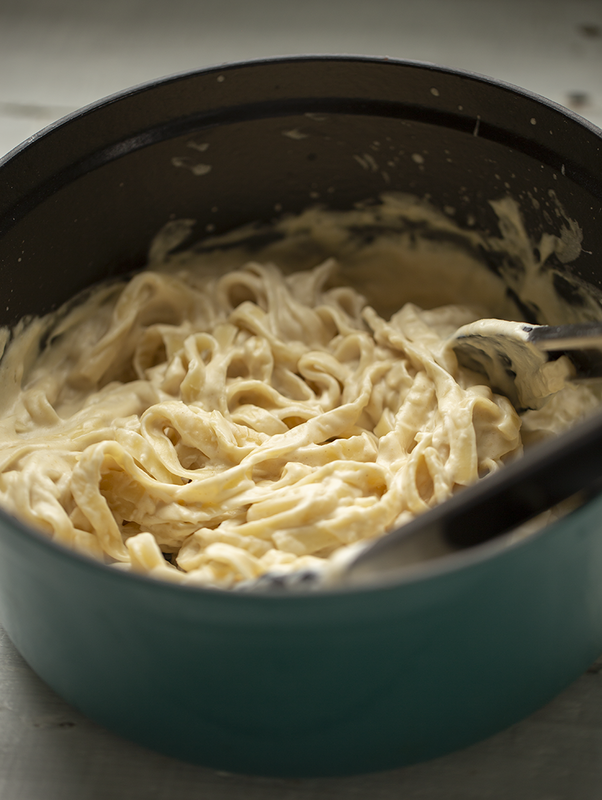 Bring a large pot of water to a boil and add the fettuccine pasta. 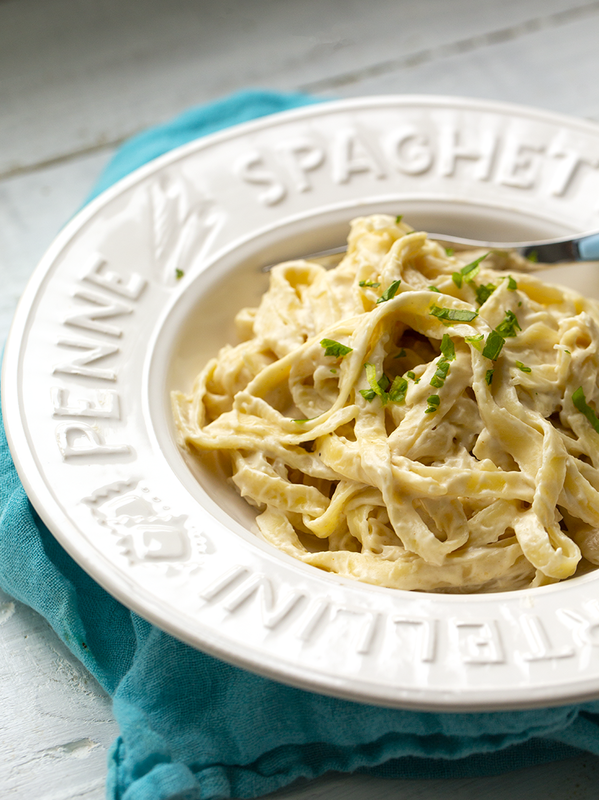 Stir your fettuccine to break any pieces apart. 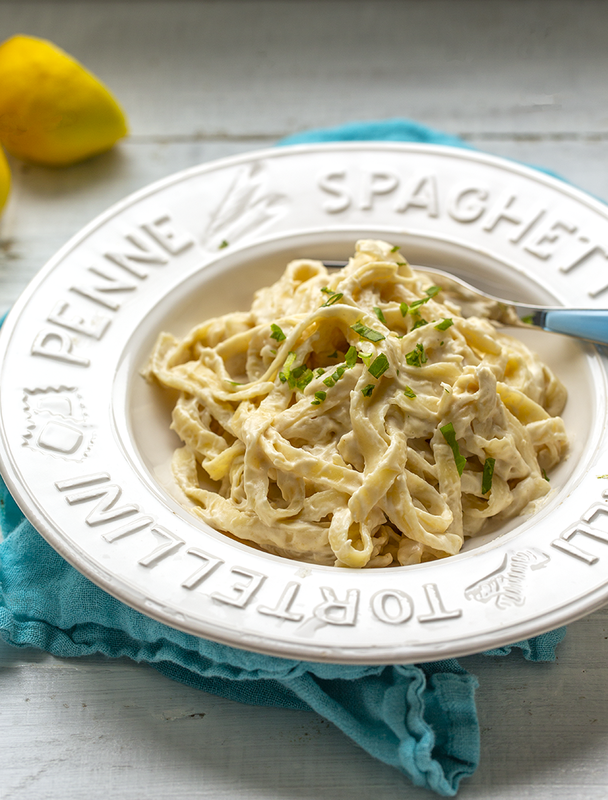 Tip: Adding a teaspoon of oil can help prevent your fettuccine from sticking. Cook until tender. As your pasta cooks, start your sauce. Add to a high speed blender: cashews, miso, lemon, pepper, salt and the HOT water. Also add the optional garlic clove. 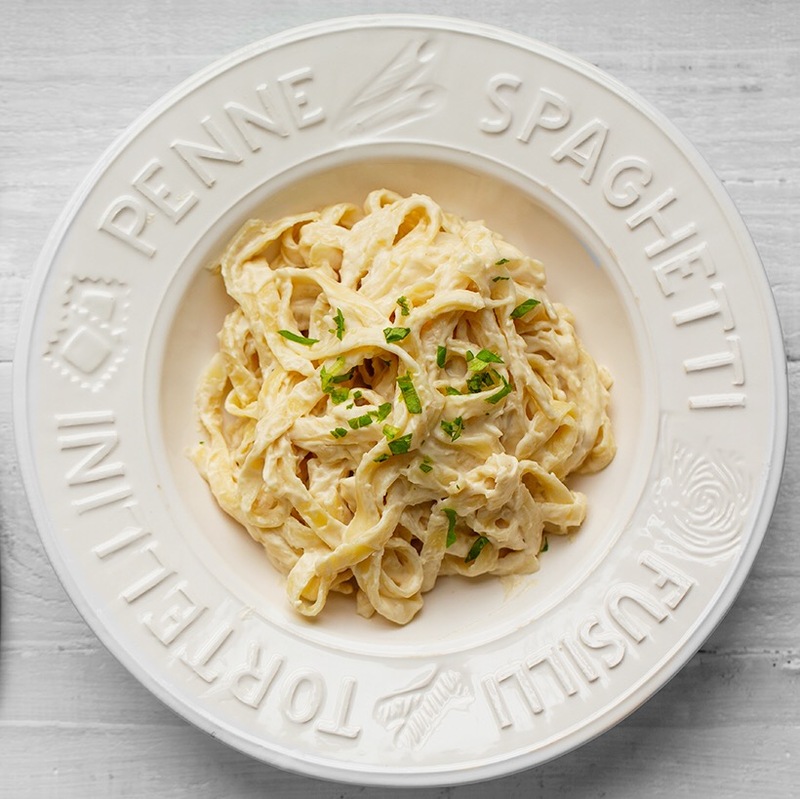 For the water, you can use purified water that you boil, very very hot tap water - or scoop out some of the hot, starchy pasta water from your pot as the fettuccine cooks. Blend everything from low to high. Keep the blender at the highest speed for about two minutes to really create a silky sauce base. In a medium sauce pan, add the vegan butter over medium heat. Using a whisk, stir and melt the butter. When the butter is just about melted, reduce the heat to low and add in the flour. 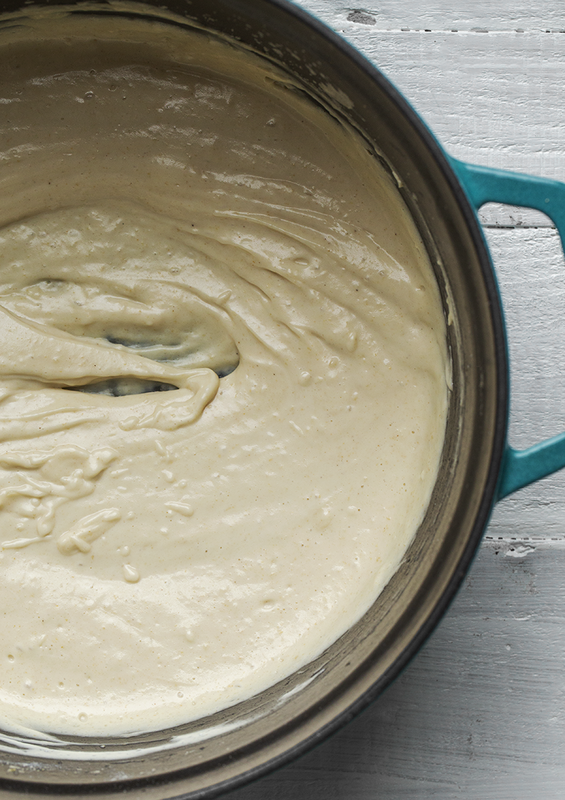 Briskly whisk to create a roux base. Turn off the heat when your roux forms - you do not want to burn it. Pour your blended cashew mixture into the roux base and briskly whisk everything together. Turn the heat back to low for a minute or two to allow the sauce to thicken just a bit. When your sauce is nice and whisked and creamy. Turn off the heat and set aside. 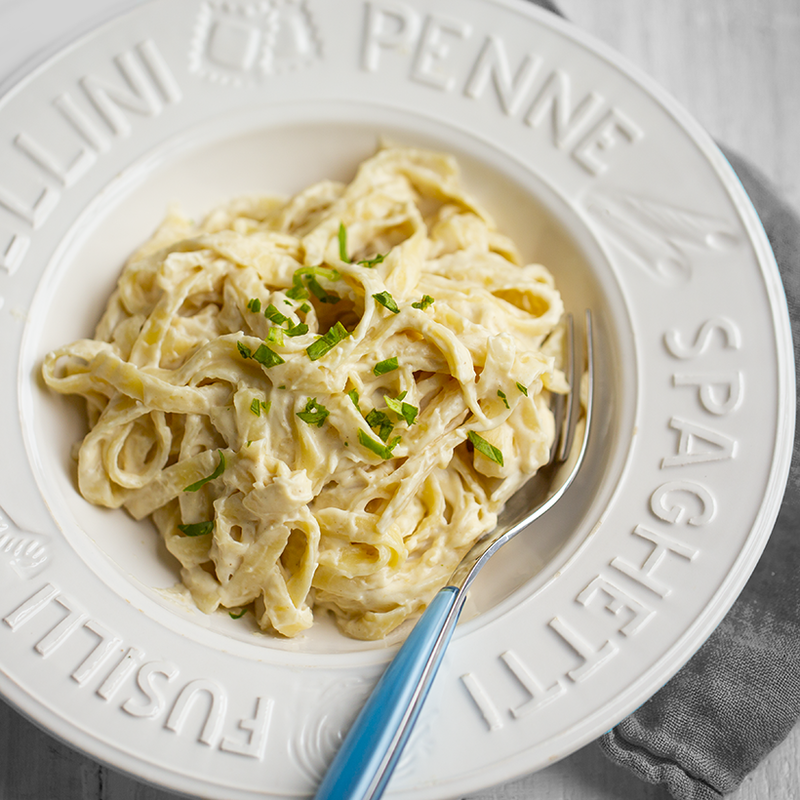 Your pasta should be done by now, so if you haven't already, drain the water. 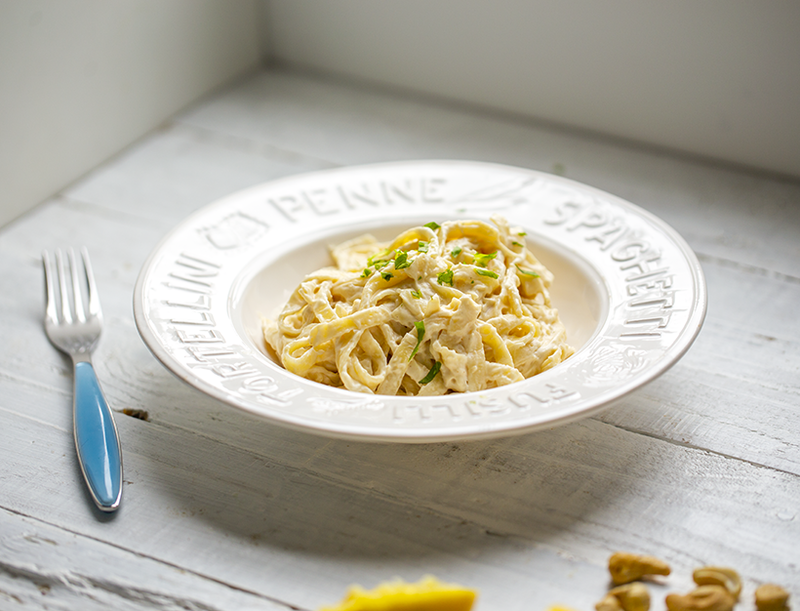 Using tongs, transfer the cooked pasta to the sauce pot and toss gently until the pasta is coated in sauce. Note: You could also do the sauce-tossing in a separate large mixing bowl if you want to control the sauce amount a bit more precisely. 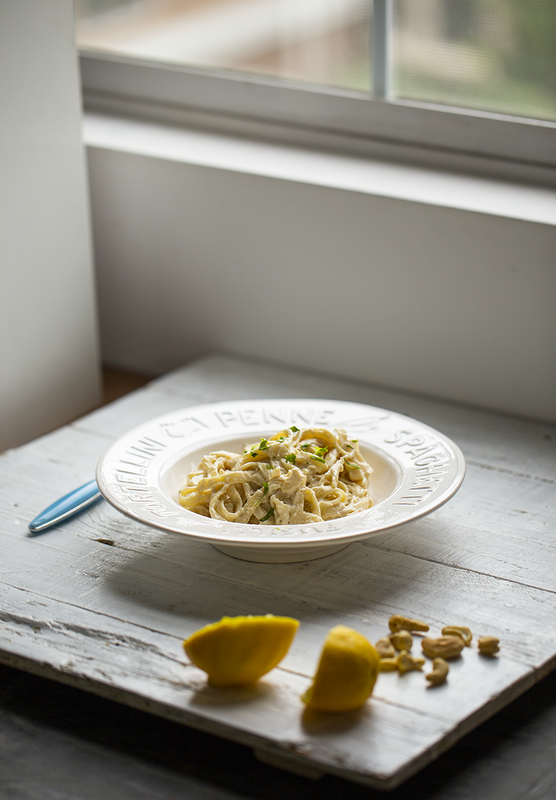 Transfer the tossed pasta to serving bowls, top with a pinch of chopped basil or parsley and serve!